West Bengal State Electricity Transmission Company Limited officials released WBSETCL Recruitment 2019 Notification. This advertisement is announced for the available 143 Assistant Engineer, Assistant Manager, Junior Executive Vacancies. All the interested candidates, start submitting the application form in the online format. Applications submitted in other formats won’t be accepted. So, go ahead and check all the information clearly. And then go on to apply for the WBSETCL Recruitment 2019, before the final date. 24th January 2019 is the closing date, by which the applications must be submitted. Officials are looking for the candidates, who completed B.E, B.Tech, MBA, CA, ICWA, Diploma from any Recognized Institute or University in India, as the Educational Qualification. Now, if you are searching for the Government jobs in the West Bengal State, then this chance is for you. Now, all you have to do is check the total information clearly. And then proceed to submit the application form in the prescribed manner. Apparently, the contenders, need to have all the Qualifications correctly. If not all such applications will be rejected. If you are not eligible, or if you are not interested in applying for this WBSETCL Recruitment 2019, you can always explore more Government on our site Freshers Now. Apparently, candidates, who completed either B.E, B.Tech, MBA, CA, ICWA, Diploma from any recognized Institute or University in India, can apply, before the final date. 18 years to 27 years. Written Test along with the Personal Interview, will be the selection rounds. Go to the Official site of the West Bengal State Electricity Transmission Company Limited at wbsetcl.in. Over there you will find the Advertisement. Check the information in it. Recheck the total information and submit it before the final date. WBSETCL Recruitment 2019 is surely a good chance for the Graduates in the West Bengal State, who are searching for the Government Jobs. WBSETCL Recruitment 2019 Notification is released by the officials. And this advertisement is for the available 322 Junior Engineer, Technician Grade III, Junior Executive, and Assistant Manager vacancies. Therefore, all those people, from the West Bengal State, who are searching for the Government Jobs, can go ahead and apply for the WBSETCL Openings 2019. Well, starting from 19th December 2018, an individual can start applying for the WBSETCL Recruitment 2019. The final date, to submit the application form is 11th January 2019. After the final date, no applications will be accepted by the officials of West Bengal State Electricity Transmission Company Limited. Down in this article, we provided all the Details clearly. By checking them, job searchers will have an idea. Good news for all the Job searchers in the West Bengal State. Go ahead and check all the Requirements clearly. And then proceed to submit the application form for the WBSETCL Recruitment 2019 before the final date. Well, here in this particular section, we are sharing a table. And that table consists of all the information, that an individual need to know, before proceeding to apply for WBSETCL Recruitment 2019. Well, if in case, you are not interested or not eligible, then go ahead and check more other Government Jobs, on our site Freshers Now. Well, the aspirants need to have the correct educational qualification, as of the time of applying for the WBSETCL Recruitment 2019 candidates have to complete their 10th, ITI, and Graduation from any Recognized Institute or University in India. Applicants age must lie between 18 years to 27 years. For Age Relaxation information check the Advertisement. UR / OBC-A & OBC-B candidates should pay Rs.250/- as the Application Fee. And find all the details. 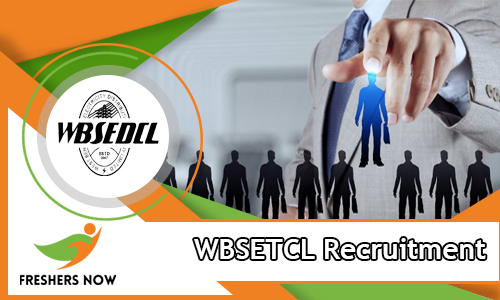 We shared all the details about the WBSETCL REcruitment 2019. Check more such detailed information on our site. few days back the West Bengal State Electricity Transmission Company Limited has issued a notification for the WBSETCL Recruitment 2018-2019. Therefore, we have arranged all the particulars on this page. So, the candidates who are looking for the jobs in WBSETCL need to refer this article. In addition to this, we have provided the Pay Scale, Educational Qualification, Application Fee details in the below sections. Hence, the candidate can get an overview of the WBSETCL Recruitment 2018-2019 Notification by referring this article. Moreover, we have also arranged the Procedure To Apply For The WBSETCL Recruitment 2018-2019. Furthermore, the last date for the online application forms is 27th April 2018. And, the WBSETCL released notification for the 292 Junior Engineer, Technician Grade III, Junior Executive, and Assistant Manager positions. And, the application process for the WBSETCL Recruitment 2018-2019 will start from the 06th April 2018. So, the candidates need to wait few more days to fill their registration form. Moreover, aspirants need to utilize this opportunity and submit their application form before the last date. Furthermore, we all know that applications which are submitted after the last date will be rejected. Hence, the competitors need to know all the details before starting their process. Hence, we have gathered all the information related to the WBSETCL Recruitment 2018-2019 in this article. And, the candidates can refer the below table to get an overview of the WBSETCL Recruitment 2018-2019 Notification. Candidates can check more details regarding WBSETCL Recruitment 2018-2019 on the official website. Moreover, we have provided all the particulars on this page. Furthermore, contenders can find the official website in the above table. So, the aspirants need to complete their registration process before the last date by checking all the details. And, the aspirants need to submit their application form through online mode only. No other mode of application will be accepted. Likewise, the competitors need to check the information before starting their registration process. Moreover, the application fee will differ based on the applied posts. So, the candidates need to verify the fee while submitting their registration form. Furthermore, aspirants can also check more govt jobs from our web portal. The applicants need to complete their Diploma/ B.E/ B.Tech from a recognized board. So, the aspirants who satisfy the mentioned qualification can apply for the WBSETCL Recruitment 2018-2019. Hence, the candidates before starting their process need to once verify all the eligibility criteria. Moreover, candidates need to pay the application fee while submitting their application form. Based on their category applicants need to pay the fee. In addition to this, we have mentioned all the details in the below sections. Furthermore, competitors need to between 18 to 27 Years to apply for the WBSETCL Recruitment 2018-2019. Hence, candidates need to check their age limit before applying for the WBSETCL Recruitment 2018-2019 Notification. The applications will be canceled at any time if the eligibility criteria do not match with the provided details. Moreover, the applied candidates need to attend for the written test followed by the interview as a selection process. WBSETCL has not yet released the examination date. Therefore, aspirants need to wait few more days to get the exam details. Meanwhile, candidates can start their preparation for the test. So, the applicants who are ready to apply for the WBSETCL Recruitment 2018-2019 can get the syllabus and previous papers from our website. Moreover, we will upload the syllabus and previous papers on our site as soon as possible. And, aspirants can found the link to download the WBSETCL Recruitment 2018-2019 Notification at the bottom of this post. Hence, applicants can get more details from the official notification. Moreover, aspirants can receive the salary best in the market from the WBSETCL organization. So, the aspirants who are willing to do the job in West Bengal can apply and be prepared well for the test. And, there is no application fee for the SC/ST category candidates. For the aspirants who had selected in the WBSETCL Recruitment 2018-2019, the organization will pay salary on monthly basis. Moreover, aspirants can receive the good salary best in the market. For more details, aspirants can check the official notification. So, candidates need to click on the below link to download the WBSETCL Recruitment 2018-2019 Notification. The mentioned age limit is as on 01-01-2018. So, the candidates need to check the age limit carefully before applying for the WBSETCL Recruitment 2018-2019. In this sections, for the sake of applicants, we have provided the steps to apply for the WBSETCL Recruitment 2018-2019. We think the provided post on WBSETCL Recruitment 2018-2019 is helpful to all the applicants. Applicants who are having doubts can leave a comment in the below comment box. And, contenders can check more Recruitments, Syllabus, Previous Papers, Admit Cards, result on our website Freshers Now.